New Zealand’s premier business events tradeshow, CINZ MEETINGS 2017 launches to Australian conference organisers at the 9th PCOA Conference and Exhibition. Conventions and Incentives New Zealand (CINZ) and Tourism New Zealand will be joined by 16 exhibitors on the 100% Pure New Zealand stand in Brisbane, which started on 27 November. CINZ Australia Manager Sharon Auld says they will be representing New Zealand’s diverse regions, from the beaches of the North Island to the mountains of the South Island and everything in between. Supported by Air New Zealand, CINZ is now calling for Australian hosted buyers and media for May 2017. MEETINGS’ two-day event, on Wednesday 31 May and Thursday 1 June, is preceded by weekend familiarisation tours across 10 New Zealand regions, and an Auckland day out experience. Applications to be a CINZ MEETINGS 2017 hosted buyer will be accepted from 27 November. Those applying before 16 December 2016 will go in the draw to win a case of Cloudy Bay Sauvignon Blanc, delivered before Christmas. “MEETINGS gives buyers the opportunity to meet with their choice of around 200 exhibitors under one roof. After 21 years, our event has become known for outstanding hosting in the New Zealand spirit of Manaakitanga. We make the experience easy and stress-free for Australian buyers by taking care of all accommodation, travel and transfers,” she says. 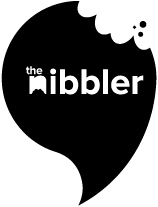 Here at The Nibbler, we’re huge fans of sustainability. That’s why we bought a KeepCup for every day of the week. Revealed: Queenstown is the lucky city hosting next year’s Conventions and Incentives New Zealand (CINZ) Conference.